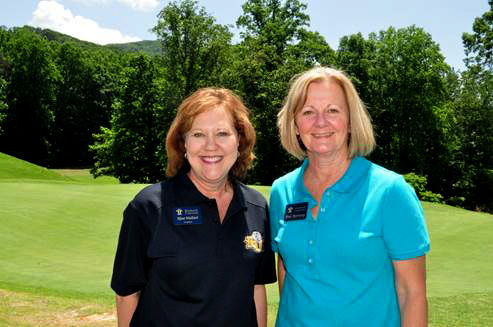 The Ministerial Golf tournament is held on the gorgeous 18-hole course at Bent Tree in Jasper, Ga. This tournament raises money for Reinhardt’s Annual Fund, including A DAY for Reinhardt. Kina Mallard, president, and Dale Morrissey, director of fund raising campaigns and church relations.